The oxy.IQ is a highly reliable and cost-effective two-wire, loop-powered transmitter with a linearized 4 to 20 mA output. 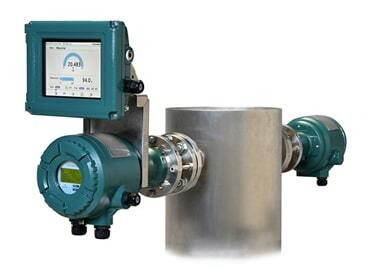 It measures oxygen in ten ppm ranges and seven percentage ranges. All ranges are user-selectable. This compact transmitter uses an advanced galvanic fuel cell that provides superior performance, accuracy, stability and a long life, even in hazardous environments. The TDLS8000 platform design is for in situ measurements which negate the need for sample extraction and conditioning. 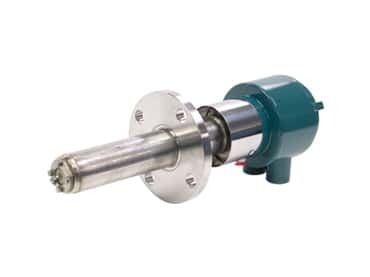 The non-contacting sensor allows for a variety of process types including corrosive, abrasive and condensing. The first generation platform has been proven in many others for the measurements of O2, CO, CH4, NH3, H2O and many more NIR absorbing gases. The XMO2 transmitter is a compact, rugged, online transmitter that provides computer-enhanced, drift-free oxygen measurement. 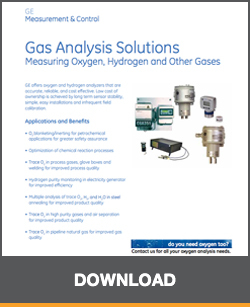 It can be used wherever accurate and reliable long-term oxygen measurement is critical to process and product quality. This includes inserting/blanketing liquid storage tanks, reactor feed gases, flare gas, catalyst regeneration, oxygen purity and many other applications. 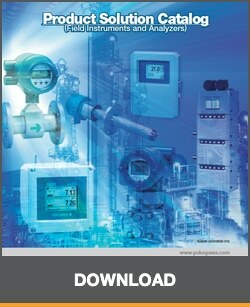 The ZR22/ZR402 is a single channel oxygen analyzer system that is used for combustion monitoring and control in a wide variety of applications, helping to make considerable achievements in energy saving. 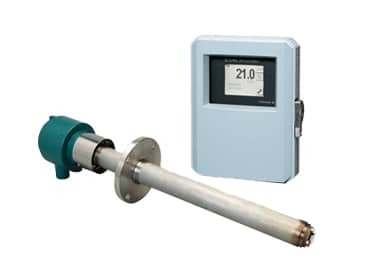 Combustion monitoring and control using the analyzer also contribute to a lowering of CO2, SOx and NOx emissions by allowing for more complete combustion, thus preventing global warming and air pollution. The ZR202 is an integral oxygen analyzer that is an intelligent, rebuildable, low-cost measurement device for in-situ humidity measurement. This smart probe features a local LCD display and infrared push-button operation for local adjustment of the instrument and calibration control. HART communication protocol allows easy configuration of the instrument as well as “up to the second” information on all process variables and diagnostic tools.